In May 1919, NHL president Calder and Mike Quinn made efforts to return Quebec to the league. Calder suggested that Quinn apply to the league for a new franchise. On December 2, 1919, the NHL approved the application of the Quebec Athletic Club for an NHL franchise. Newspapers at the time now referred to the team as the Quebec Athletics rather than Bulldogs. While the team had been suspended, their star player, Joe Malone, played for the Canadiens. Malone rejoined the franchise, and won the scoring championship that year with 39 goals. Despite Malone’s scoring and the presence of players like Harry Mummery, Quebec had a dismal season, finishing last, with 4 wins and 20 losses. 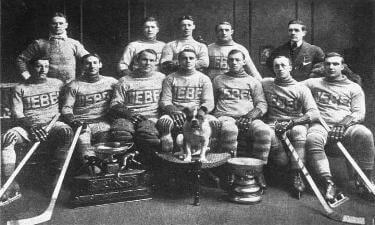 Before the 1920 – 1921 season, the NHL took back the franchise, and sold it to new owners who moved the team to Hamilton, where it became the Tigers. This helped to head off a potential competing league organized by Livingstone from setting up in Hamilton.